Yesterday we were contacted by someone looking for second opinion as to whether the web security company SiteLock’s claim that their website contained malware was true. The website’s owner believed that their web host BlueHost and SiteLock might be trying to scam them. That type of hack is referred to as a defacement hack. By malware, that may have been what SiteLock was referring to because as we found while previously giving someone a second opinion, for some reason SiteLock labels evidence of a defacement hack as malware (that seems to be a general issue, as they also labeled a spam link that way as well). 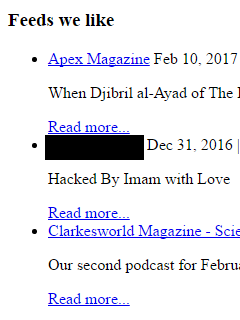 After we let website’s owner know that unfortunately the website was hacked, they responded that they felt it was an inside job. We didn’t believe that to be the case, but instead of just saying that was unlikely, we wanted to be able to provide more concrete evidence. One way to do that would be to find some other websites hit with same defacement that were not hosted with the same web hosting company or another one partnered with SiteLock. When we did a search on Google for “Mr.ToKeiChun69” the first result was a page documenting defacements by Mr.ToKeiChun69 on the web site Zone-H.org, which documents defacements of websites. In looking at some of the websites that had been defaced by Mr.ToKeiChun69 we found that they all were hosted by web hosting brands owned by the Endurance International Group (EIG). Their brands include BlueHost, as well as A Small Orange, FatCow, HostGator, iPage, IPOWER, JustHost, and quite a few others. SiteLock has a “security partnership” with EIG where SiteLock pays EIG a majority of the fees from services sold through the partnership. The majority owners of SiteLock also run EIG. While that might lead some to see the worst case, that this was inside job, for us it didn’t. But it did seem rather odd that all the websites would be at one web hosting company and that was possibly an indication that the company has some security problem. To better understand if there was really a correlation between the web hosting provider and these defacements we did a more thorough check of where the defaced websites were hosted. We checked the first ten websites listed on the 1st, 11th, 21st, 31st, and 41st page of results for this defacement on Zone-H.org. That checked websites that are dated on there as far back as June 29. Below are the results. We have listed each domain name, the IP address it currently is hosted on, and finally the ISP listed for that IP address or the web host. The ISP Websitewelcome.com is connected to HostGator and Unified Layer is connected to BlueHost, though the websites might be hosted with other EIG brands. With 49 of the 50 websites currently being hosted with EIG that would certainly seem to point to there is some correlation between the web host and the hackings. As with something that doesn’t have a connection to a web host, you would expect to see a fair amount of different web hosts showing up with that many websites. So what about the one website that isn’t currently hosted with EIG? It turns out it was hosted with them at the time it was defaced. The IP address of the website on June 29 according to Zone-H.org was 192.185.44.88, which is one connected to HostGator. The records for the domain name were changed on July 4, which is probably when the web hosting was changed. We don’t know what the cause of this is. It could be that the person or persons behind the Mr.ToKeiChun69 defacements is only targeting EIG hosted websites, has been unsuccessful in targeting websites at other web hosts, or only notifying Zone-H.org of websites hosted with EIG. What would seem more likely is that they are taking advantage of some security issue in EIG’s systems. To be clear we don’t think that this is an inside job. We notified the person that contacted us about the correlation, which they hopefully will pass along to BlueHost. That obviously isn’t a reputation you would think that any company would want. It would probably be difficult for SiteLock to legitimately change it though since their business model seems to be based around the activity that gets them labeled as such. It would also be difficult because if they, for example, stopped partnering with web host to try to get people to pay them to clean up hacked website that are not in fact hacked, then they would actually have to really clean up websites to get paid and from everything we have seen they are even worse than the average web security company, which is already quite bad, when doing that. For example, we are often brought in to re-clean hacked websites after some other company had previously had done that and then the website got hacked again. While that isn’t always their fault, in almost every instance we have been told that the determining how the website was hacked never even came up, despite trying to do that that being a basic part of the cleanup and important to make sure the vulnerability that allowed the website to be hacked has been fixed. That is certainly something we have seen with SiteLock. What we haven’t seen with other companies is that SiteLock has caused websites to be broken after doing their work. The claim that SiteLock wants make your WordPress secure is belied by many things we have run across, including a few recent examples: thinking that leaving malicious code on a website for a while is not a threat, not taking the actions needed to prevent hacked websites from being reinfected, and not warning about vulnerable plugins or insuring they are being kept up to date on a website they are supposed to be keeping secure. But maybe the most troubling recent example is that SiteLock is still knowingly spreading false information about the security of the core WordPress software and using it to make a profit. We would love to hear from someone on the WordPress or WordCamp side of things how that makes anyone’s WordPress secure. At some point, maybe we have already reached that point, you have to say that WordPress is complicit in what is going on here. Back in September of last year we contacted the central WordCamp organization to let them know that about the issues with SiteLock and ask for a comment about the situation or a more general comment on any restrictions on who can be a sponsor. We never got any response from them, though it was pretty clear they saw the message. So it seems that they can’t actually justify what is going on, but are still willing take money SiteLock has gotten through less than above board business activity. We later left a comment on a blog post about SiteLock on the WordCamp US’ website, shortly afterwards the comments left on that post were removed and commenting was disabled, so there does seem to an effort to hide what is going on. Last year as we started hearing and seeing more and more complaints about the web security SiteLock one thing we wondered was why would web hosting companies continue to partner with a company that was harming their reputation. The answer is in part that they get a lot of money from SiteLock, the Endurance International Group (EIG) has disclosed to investors that they get 55 of the revenue from SiteLock services through their partnership. When you are talking about $300 for a hack cleanup or $100 a month for a protection service, their cut of that could easily be more than they are getting paid by the customer for the service they are actually providing (without the costs that come with actually providing something). That wasn’t the only explanation for that particular partnership, as turns out that the majority owners of SiteLock are also the CEO and a board member of EIG. While EIG isn’t all the well known by that name, they provide web hosting under a number of well known brands including A Small Orange, Bluehost, FatCow, HostGator, iPage, IPOWER, JustHost and quite a few others. Web hosts can play an important role in keeping websites secure. They have a responsibility to keep the things in their power secure and they can also do things that help their customers do their part. The type of partnership that SiteLock has with EIG could influence EIG to not take the steps they could to keep websites secure since they can potentially make so much money off websites they host getting hacked. While we would think that might impact them doing extra things to help their customers, it turns out that EIG is not doing something that is their responsibility. We are currently working on a cleanup of a hacked website hosted with JustHost, where JustHost and SiteLock have pointed to an outdated Joomla installation as being a weakness. 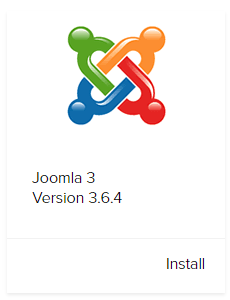 While looking around at things we found that JustHost is currently offering to install that version of Joomla, despite it having not been supported for over two years. From the JustHost cPanel control panel clicking the One-Click Installs button took us to https://www.mojomarketplace.com/scripts. The company behind that website, MOJO Marketplace, is another EIG company, which among other things provides the ability to install various software on websites. Looking over that page we found that not only were they offering to install the version of Joomla, 2.5.28, that JustHost and SiteLock were pointing to as being a weakness, but they are offering plenty of other outdated and insecure software. Below we have highlighted some of those. If we were not already well aware of what SiteLock is really about, we would asking why SiteLock would be partnered with a web hosting company putting their customer at risk like this. It is worth noting that as far as we are aware none of SiteLock’s protection services include updating software, despite that being an important measure (and them seeming to be aware of the risk of outdated software). First up MOJO Marketplace is still offering Joomla 2.5.x despite that reaching end of life (EOL) on December 31st, 2014. The next release of 3.x, 3.6.5, was released on December 13 of last year and included security fixes. 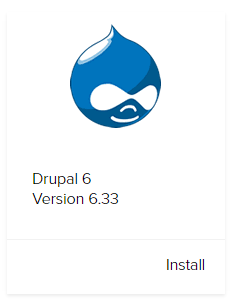 Not only has Drupal 6 been EOL over year ago, but there were five security updates after 6.33: 6.34, 6.35, 6.36, 6.37 and 6.38. 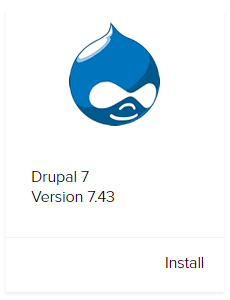 The next release of Drupal 7, 7.44, was released 11 months ago. Not only did that include security fixes, but so did the subsequent 7.52. The next release of Drupal 8, 8.1.1 was released a year ago. Subsequent to that there have three releases with security fixes: 8.1.3 8.1.7, and 8.3.1. That version is two years out of date, with 1.9.1.1 being released in May, 2015. That version included security fixes, as did 7 subsequent versions: 1.9.2.0, 1.9.2.1, 1.9.2.2, 1.9.2.3, 1.9.3.0, 1.9.3.1, and 1.9.3.2. 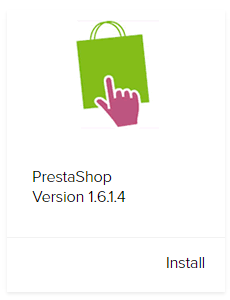 The PrestaShop version is more than a year out of date, 1.6.1.5 was released last April, and a security fix was released in the subsequent 1.6.1.12. 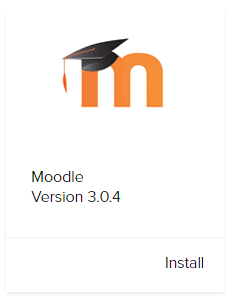 Moodle 3.0.x was replaced as the most recent major version of Moodle just about a year ago. Support for 3.0.x ended a week ago. 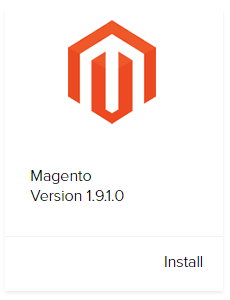 Not surprisingly the version of 3.0.x being offered isn’t recent, with the next version 3.0.5, being released 11 months ago. That version included security fixes as well five subsequent releases: 3.0.6, 3.0.7, 3.0.8, 3.0.9, and 3.0.10. 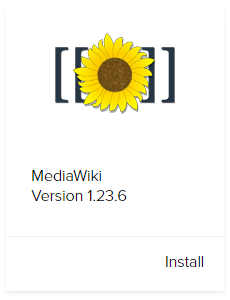 MOJO Marketplace isn’t offering the latest major version of MediaWiki, but at least you could explain providing 1.23.x as it long term support release in they were keeping it up to date. But as with the other software they are not doing that. The next release of 1.23.x, 1.23.7, was released in November of 2014. That was a security release, as were 8 subsequent releases: 1.23.8, 1.23.9, 1.23.10, 1.23.11, 1.23.12, 1.23.14, 1.23.15, and 1.23.16. Version 1.23.x reaches EOL this month. As we have looked closer at the web security company SiteLock over the last year one of the things that has stuck out is how their web hosting partners are not being upfront about the nature of their partnership with SiteLock. As we have mentioned before when it comes to one of their biggest web hosting partners, Endurance International Group (EIG), the company has disclosed to investors that SiteLock not only pays them more than half fees for services sold through their partnership, but the CEO and a board of EIG also are the major owners of SiteLock. Those seem like things that should be disclosed to their customers as well since there is an obvious potential for conflict of interest with that relationship, for which their customers should be aware of when considering their recommendations regarding SiteLock. Instead we have found previously that one EIG brand, HostGator, wouldn’t even publicly acknowledge those connections. In that instance they referred to SiteLock simply as a “trusted partner”. If you don’t feel comfortable removing the infected files yourself, we recommend contacting a third party professional who can assist with removing malware, such as SiteLock. Considering that Site5 has been part of EIG for nearly a year and the connection between EIG and SiteLock, calling them a third party, while maybe technically accurate, clearly doesn’t provide their customers a honest understanding of the connection between the companies. (Not surprisingly from everything else we have seen related to EIG, the quality of Site5 service and support looks to have gone downhill since becoming part of EIG, just look at the number of negative reviews they have received on their BBB page since the purchase). One of things that we had wondered for some time about SiteLock, the web security company that seems like is scamming their customers, was what explained their partnerships with so many web hosts. Before we found about the more scam level stuff going on with them, what we had see was they seemed to be quite bad at hack cleanups and the basics of website security. So we figured that the partnerships were not based on the web host believing that SiteLock was the best choice to help their customers, but about money. When we found about how SiteLock was taking advantage of people on large scale we started to wonder how much money must the web hosts being getting to continue those partnerships, considering that their partnerships with SiteLock couldn’t be good for their reputation. To a lesser degree we sometimes have had wondered why SiteLock was partnering with some web hosting companies that had some bad security practices or were making it harder to properly clean up hacked websites. We figured that they would at least be pushing these companies to improve those situations, but we saw no evidence of that occurring. Several weeks back we ran across a couple of things that went a long way to answering those questions. 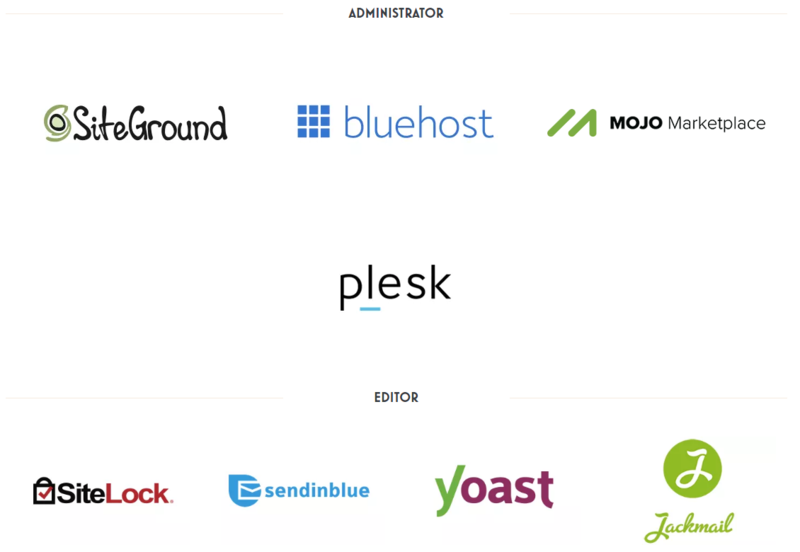 First, it turns out the majority owners of SiteLock are also the CEO and board member of a major web hosting company Endurance International Group, which does business under the brand names A Small Orange, Bluehost, FatCow, HostGator, HostMonster, iPage, IPOWER, and many more. That would seem to make it easier to get them to partner with SiteLock. From this we also know that at least at those web hosts, the web hosts are not in the dark about what SiteLock is actually doing and if they had a problem with it they could make a change directly at SiteLock. It also goes a long way to explaining why SiteLock wasn’t insisting on better security practices at web hosts, since their owners are also running a web hosting company that doesn’t have the best handle on security. It important to note that neither SiteLock or the Endurance International Group is upfront about this connection between the two. The only place you will find out about the connection is in Endurance International Group financial reports, where they are legally required to disclose it. Even in those it hidden away, as SiteLock is not mentioned in them, instead they are referred to by the entity that owns them, Innovative Business Services. At the point where you legal are required to disclose something, it seems to us that would be a good indication that you should be upfront with your customers about what is going on, but clearly they don’t fell the same way. Second, it turns out that web hosting partners are getting a lot of money, if the deal that SiteLock has with Endurance International Group is any indication. As of fiscal year 2014 the Endurance got 55% of the revenue coming from sales through the partnership with SiteLock. We wonder how people that have been strongly pushed to SiteLock by their web hosts would feel when they found how much money the web host is getting by doing that, especially in situation where they are dealing with a hacked websites. It also appears to create an incentive for them to not make sure their clients are secure, since they can make a lot of money off of those websites being hacked. @matthew_zak SiteLock is aware of what you're going through but they don't control how the hosts sell their services to customers. Assuming that is true and we don’t have a reason to believe that it isn’t (the same person did a podcast interview with a SiteLock representative in June, in which their response to a question of SiteLock’s unsavory practices was that you should trust that person that it isn’t happening (despite it actually happening)), it is a rather outlandish claim. Even if you didn’t know what we just discussed, what kind of partnership would it be where one party has no control of how their services are being sold. In reality from everything we have read and heard, SiteLock employees are the ones doing much of what is being complained about. Even if they were not, considering how much the web host is getting paid, it doesn’t seem believable that Sitelock wouldn’t have the leverage to stop bad practices. More importantly in the case of Bluehost, that was mentioned in the previous tweet there, seeing as SiteLock’s owner also control Bluehost, they wouldn’t’ have a problem controlling how the web host sells SiteLock’s services. We get the feeling that the idea here is that SiteLock and the web hosts each point the figure at the other and hope that more people don’t become aware that they are dealing with two parties so closely connected.